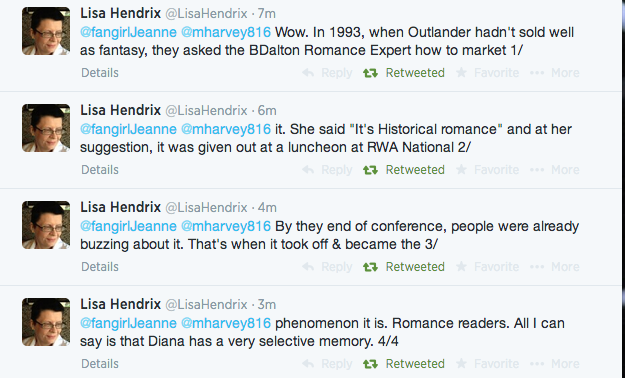 [reblog] The Marketing History of Outlander and Diana Gabaldon's Selective Memory. "It's very rare to find a good romance writer who can work within that form and still produce a good novel." After I tweeted the above quote from Diana Gabaldon, someone replied with some interesting information.